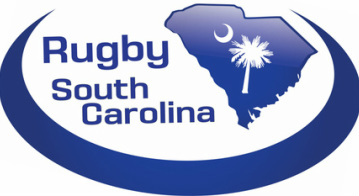 The Proving Grounds @ Bluff Road, across from Williams-Brice Stadium, is the University of South Carolina's newest field and serves as the primary match and practice facility for Carolina Rugby. Opened in fall of 2015, the field originally served as the 'Proving Grounds" for South Carolina Football, serving as their primary outdoor practice facility for nearly 30 years. 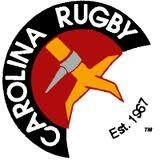 Carolina Rugby is proud to call this pitch home for many years to come. Did you know? Across the street from Bluff Road Field is Williams-Brice Stadium, recognized as one of the finest facilities in all of college football. Carolina annually ranks among the nation's leaders in attendance and Gamecock fans are regarded as some of the most loyal in the country. Williams-Brice Stadium, formerly Carolina Stadium, was first constructed in 1934 by the WPA. Then, it seated 17,600. 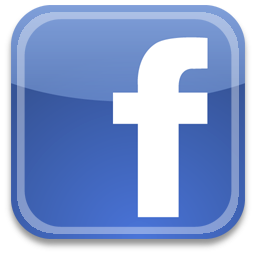 It has undergone a number of expansions and revisions over the years, with the largest prior to the 1982 expansion coming in 1971-72. A bequest from the estate of Mrs. Martha Williams Brice helped boost the capacity then from slightly more than 43,000 to more than 54,000. Mrs. Brice's husband, Thomas H. Brice, was a Gamecock football letterman, 1922-24, and her family operated the Williams furniture Company in Sumter, SC. She left a substantial inheritance from the Williams Furniture fortune to her nephews, Thomas W. and Phillip L. Edwards, much of which they passed on to the University of South Carolina. That included a bequest for the stadium project. The name was officially changed from Carolina Stadium to Williams-Brice Stadium in dedication ceremonies during the Sept. 9, 1972, opener with Virginia. 1. The host team generally suggests parking along the street on National Guard Road in either the marked or unmarked spots. 2. We strongly suggest you do NOT park at any of the nearby businesses or condominiums. 3. Please be aware of any areas labeled 'No Parking.' USC and the City of Columbia will not hesitate to tow illegally	parked vehicles. 1. No alcohol of any form is allowed on the pitch, open or not. 2. In accordance with University of South Carolina wellness policy, tobacco and other smoking products are not allowed on the pitch. 3. No dogs or other pets are allowed on the pitch. 4. No one may play golf or in any other way advertently harm the playing surface. 5. Failure to abide by these rules, or any rules posted on the playing surface, may result in a fine or removal from the facility.